“You’re sitting in your cubicle busy working on a client proposal that you need to discuss with your boss in the evening. A cellphone ring interrupts your train of thought. The person in the next cubicle answers the phone in a loud voice forgetting that nearly everything he says can be heard from 10 cubes away. You put on your headphones and turn on some music to block the noise but to no avail. Soon, you feel like banging your head against the wall.” This is a story which happens in many offices across the country today. But why is that nothing gets done, is it because we accept “noise” as a given in our daily lives. Over the years, the office workspace design has evolved from independent offices to cubicles and finally by work stations in what is commonly known as open plan office design where teams of people can work together. Besides size, the open plan office encourages transparency and makes everyone more accessible. Not surprisingly, the lack of “barriers” separating one employee from another also means that they can over hear each other’s conversations. Studies have shown that over 50% office workers are dissatisfied with the level of “speech privacy”. It is important to remember that a loss of privacy to one individual is a cause of distraction for another. We experience every space in five senses so it’s important that office design is not just for the eyes. Sound in a space affects us profoundly. It changes our heart rate, breathing, hormone secretion, brain waves, it affects our emotions and our cognition. Distraction due to speech is a frequently encountered problem in the open office but few people realize that there are effective solutions. What the open plan office is currently missing is an “Acoustics Design” i.e. consciously selecting the right materials and the right open plan layout keeping in mind, noise due to people or electrical and HVAC systems. Studies have shown that trying to perform knowledge-based tasks in a space in which other people’s conversations are clearly audible is difficult and productivity can be degraded by up to two thirds (65%) if the office sounds are not properly managed. 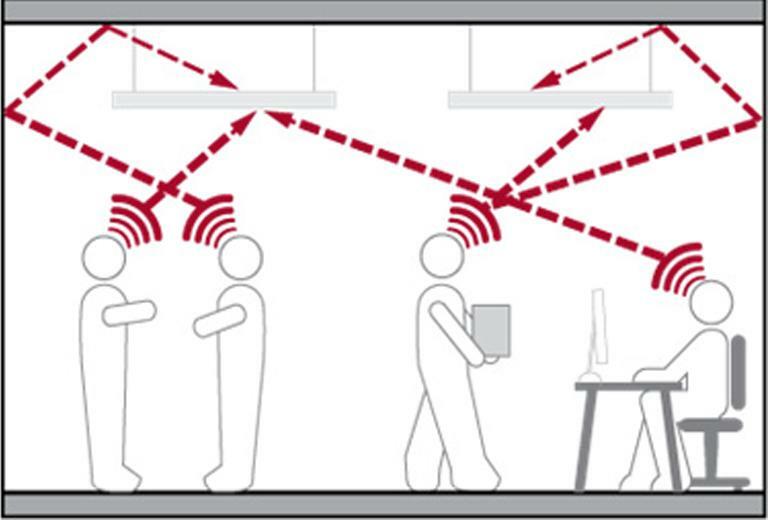 Intelligent Layout – Design should separate noise producing areas from noise sensitive areas. A simple example is meeting rooms should not be located close to server rooms or cafeteria’s. 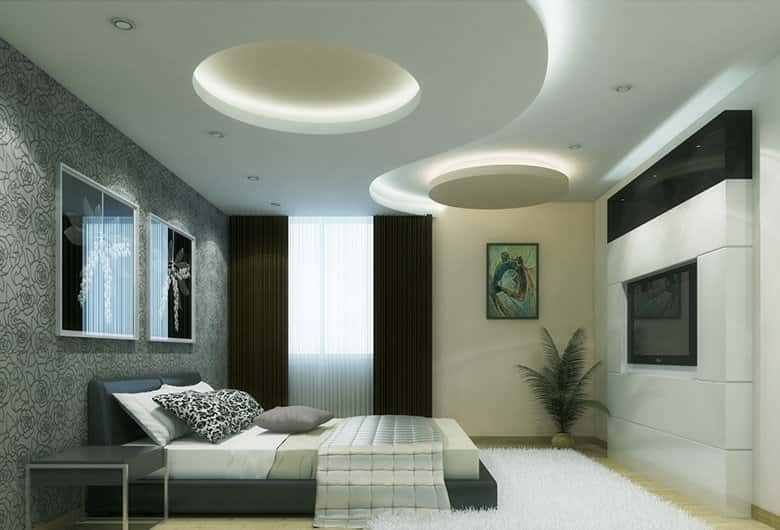 Design should ensure minimal sound insulation between rooms to ensure privacy. A common example of a sound insulation problem in office spaces is highlighted below as stated by a Manager @ an International bank, “Recently, I travelled to Mumbai with my team to meet an established client at their new office which occupied four floors of a corporate park. At first, I was impressed by the well-lit offices, quality furniture and classy interior design. It was only once our meeting had begun in one of the 8 seat cabins that I realized that sound insulation had not accounted for. We could clearly hear another meeting taking place in the adjacent room. We were constantly distracted by their discussion.” Again a commonly occurring problem across our offices which is loss of privacy. i.e. sound from outside the meeting room is clearly heard inside the room or vice versa. This can be solved by designing and using appropriate partitioning system between rooms. Interior materials should absorb excess sound to improve communication and reduce noise related distraction. Although, both cafeterias and open plan offices essentially need sound absorption, the approach taken for the two spaces is very different. 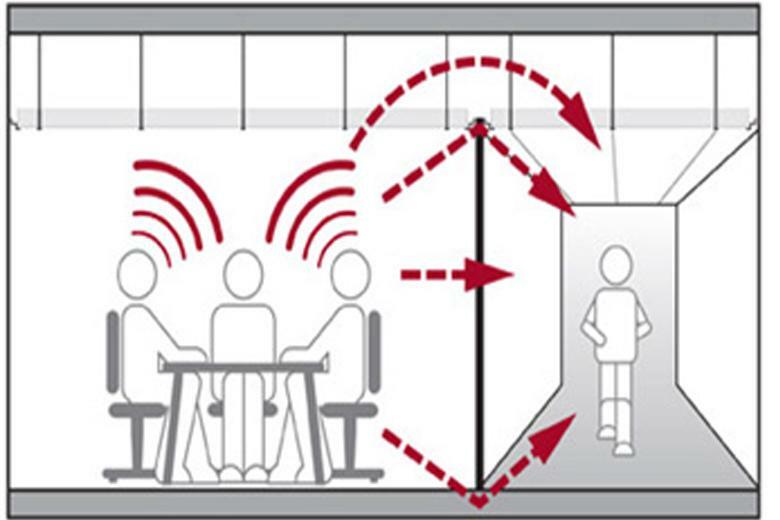 In cafeterias, the objective is to reduce the overall noise level so the occupants can communicate. Hence, more the absorptive material added, greater the noise reduction. In the open plan office, the challenge is to reduce conversation noise, i.e. ensuring it does not travel a significant distance but at the same time travels without loss in level and intelligibility. An effective solution here requires a careful study of the type of tasks carried out by employees, a proper layout which maximizes distance between different teams of people and the strategic placement of sound absorptive materials. The right acoustic treatment apart from the right design needs the usage of effective materials with the right acoustic properties. 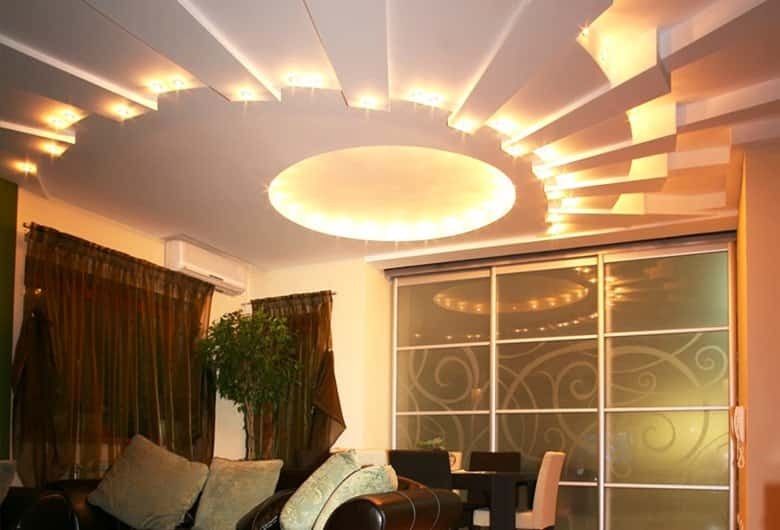 The most effective solution to sound insulation is to use lightweight drywall systems. 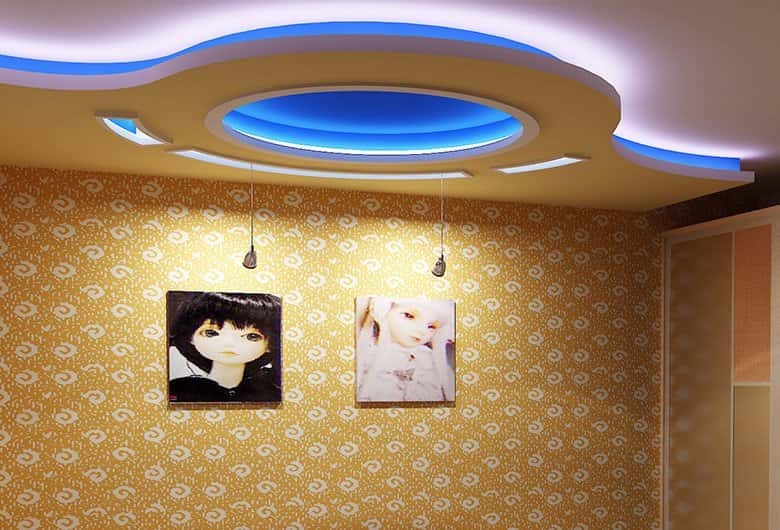 Gyproc Drywall systems make use of a simple system in physics known as the mass-spring-mass system, i.e. 2 plasterboards attached to a metal frame with an air gap in between. The air gap between the two plasterboards provides “structural isolation” meaning, it forces sound to convert its medium from board-to-air-to-board again. The air gap can be further reinforced with insulation material like glass wool or rock wool to further enhance the sound insulation. Gyproc Drywall systems can provide sound insulation as high as 70 db at at a fraction of the weight and cost of a masonry system and is also significantly faster to construct. For sound absorption, materials are typically classified based on their weighted absorption factor between Class A and Class E with Class A being the best sound absorbers. 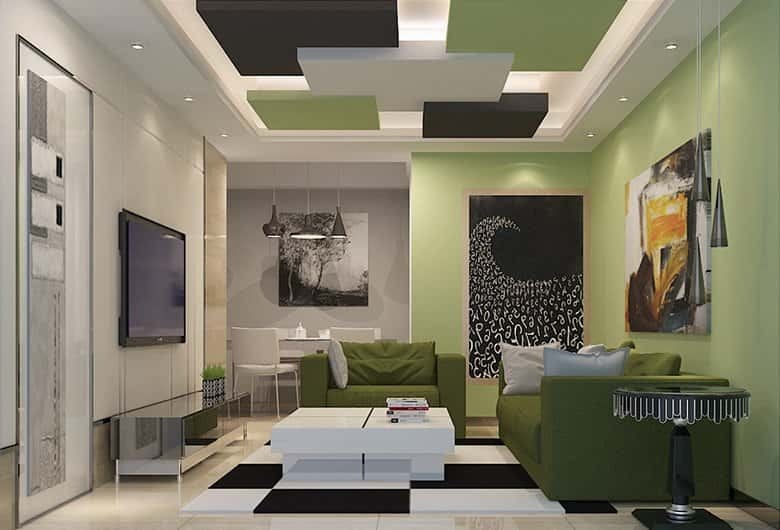 Saint-Gobain’s, Ecophon brand of ceiling tiles and wall panels are manufactured using High Density Glass Wool, rated as “Class A” sound absorbers according to ISO 11654 and deliver sound absorption properties upwards of 90% (0.9 NRC). 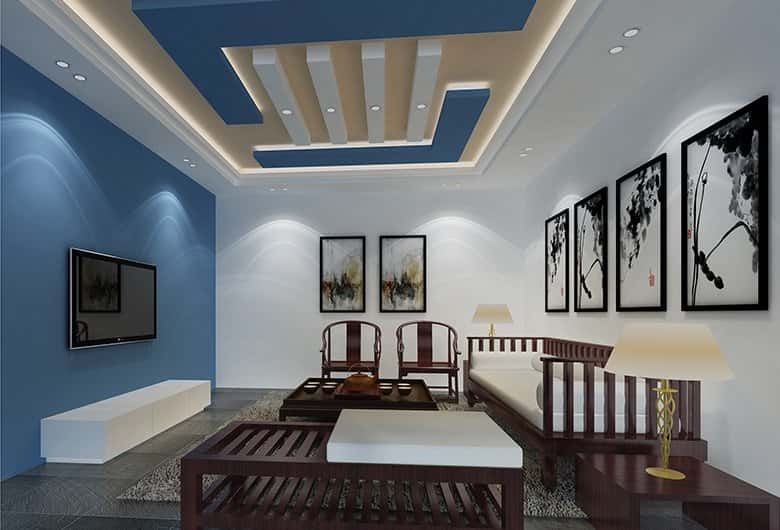 In contrast commonly used Mineral Fibre ceilings are Class C sound absorbers and they deliver sound absorption usually between 0.5 & 0.7 NRC (50 to 70% absorption). Another product line, the Gyptone Big Boards makes use of perforated absorbers, a highly effective method of increasing sound absorption. Together, these product lines make excellent modular ceilings and wall panels which significantly improve privacy and reduce noise related distraction in the office. Among the three facets of office comfort i.e. lighting, ventilation and noise, we find that noise is the only parameter which does not have a switch to turn up or down. Hence acoustics design should be considered at the design stage itself to ensure the design the not just for the eyes but also for the other senses. In case of existing spaces where an acoustic problem exists, solutions can be given through proper acoustic retrofit treatments after analyzing the problem. A case in point is a recent retrofit carried out by us at the cafeteria of an IT major wherein the sound decibel level was reduced by as much as 10db (sound is measured on a lograthamic scale – so a reduction of 3 db means sound is reduced by close to 50%) by covering 70% of the ceiling area with Ecophon sound absorbing ceiling tiles thus bringing down the acoustic levels in the cafeteria to within normal limits. At Saint-Gobain Gyproc, we have the both the knowledge of desired acoustic levels based on the activities and zone which complemented with a wide range of wall and ceiling acoustic products that can be used to create the right environment in the open office, cafeteria and meeting room. Our innovative approach to acoustics is helping the next generation of buildings to be acoustically sound. Combined with our efforts in sustainable design, Saint-Gobain Gyproc is leading the way to multi comfort habitat.